Popped! is one of the places that we miss now that we live further away from downtown Kent. 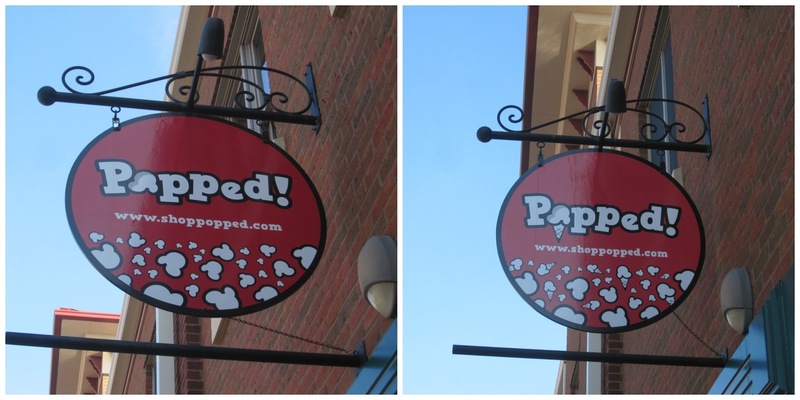 This summer we spent a lot of time enjoying restaurants and events downtown and we would always stop by Popped! for a bag of popcorn before we left. I love that their business has expanded to include a wide array of chocolate items as well as ice cream and I think that their popcorn and confections make for wonderful gifts. Dave and I stopped by Popped! last Saturday, because we were in town. We picked-up some popcorn to enjoy (Black Squirrel Crunch -- Peanut Caramel Popcorn with Kettlecorn and Milk Chocolate Covered Peanut Brittle), a box of milk chocolate assorted acorn treats (a nod to the Tree City), and some chocolate bars for a party that we were hosting that evening. You can see in the background of this photo that there's a little sitting area if you'd like to enjoy ice cream. There is also a nice patio area right outside of Popped! which features tables with umbrellas during the summer. That's a lot of first dollars! Popped! has two entrances, one for the popcorn and confections and one for the ice cream (the stores are connected though, you can easily move from one to the other with the open floor plan). 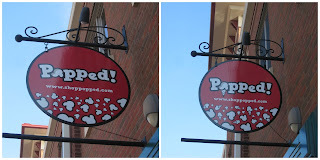 During one of our coffee dates this summer Dave and I were sitting outside of Popped! when a little girl reminded her mom that they needed to use the second door, because the sign above that door had an ice cream cone on it. Neither of us had ever noticed that detail on the signs and thought that it was very clever. I highly recommend Popped! 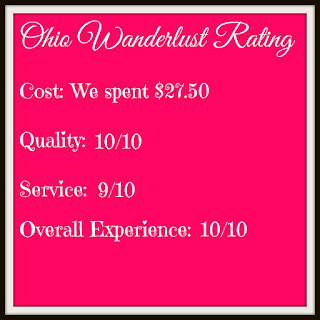 as a place to stop at while visiting downtown Kent, the staff is incredibly friendly and everything we've tried has been outstanding. I'm excited to try their ice cream once the weather has warmed up, I'm sure that it won't disappoint.